Jordan Ingram reporting for FishDuck.com from Autzen Stadium at Oregon Football Media Day. 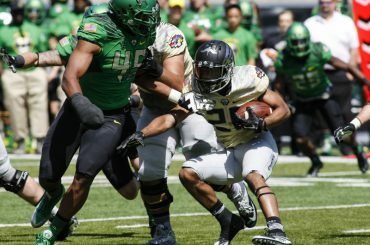 The news of Oregon Ducks running back Thomas Tyner‘s recent shoulder surgery has definitely changed the playing field in Eugene. Tyner will almost definitely miss the entire 2015 season, which is tragic for Oregon’s very own five-star recruit from Aloha High School. 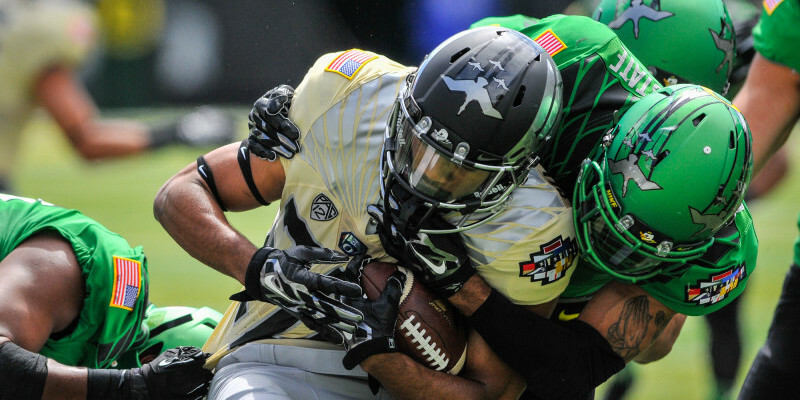 Running back Tony Brooks-James shined during the Oregon Ducks 2015 Spring Game. But just like an army supporting their fallen brother, a talented group of young running backs including Taj Griffin, Kani Benoit, and Tony Brooks-James continues marching forward into fall camp. 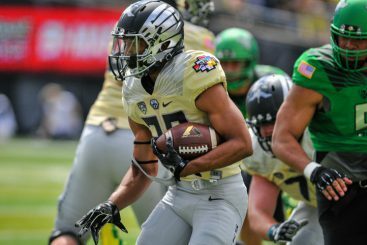 When FishDuck.com caught up with Brooks-James at the 2015 Oregon Football Media Day, the Ducks’ redshirt freshman seemed confident in himself and his teammates despite the loss of a veteran. While Duck fans may mourn the lost notion of an intriguing one-two power punch of sophomore Royce Freeman and Tyner, Brooks-James continues his preparations for that newly open slot. Brooks-James wants to make a name for himself as a smaller back with explosive speed. Indeed, tragedy often means opportunity. That’s especially true at Oregon, where the “next man up” slogan remains a proven and successful tradition. At 5’9″, 185 lbs., Brooks-James is a smaller back than Tyner or Freeman, but his speed and versatility at receiver are reminiscent of former Oregon standout De’Anthony Thomas and current running back turned receiver Byron Marshall. The ability to create options for a “spread ’em and shred ’em” offense could push someone like Brooks-James to the front of the line. After all, success at Oregon comes in all sizes but at one pace: peddle to the metal.